Billy O'Callaghan © 15 May 2017. Posted in the Magazine ( · General Fiction · Interviews ). At the beginning of May, O’Brien Press, under their Brandon imprint, published my new book (and, in fact, my first novel, after three collections of short stories), The Dead House. It’s a ghost story. It is, of course, other things too: a story of love and friendship, a study of isolation and the power of suggestion on an increasingly fragile artistic mind, and even a paean of sorts to West Cork’s wild and often menacing majesty. But it is, nevertheless, a ghost story. Since it has come out, I’ve been asked by a quite few people if such a label bothers or offends me, and others have expressed surprise at the fact that I have written this kind of book, with subject matter so apparently different from that which I usually mine for my short stories. On one level I can understand the surprise, but on reflection it is perhaps less of a stretch than it might at first seem. My stories usually strive for stark realism and tend to favour introspection and contemplation, seeking to understand the flaws that mark people out as human and finding ways of coping with things like loss and regret. 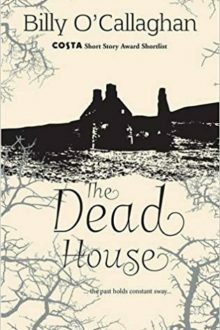 The Dead House is a first-person narrative, and is therefore inevitably reflective, too, and the bulk of the story unfurls in relatively linear fashion (not, I admit, an approach to which I’ve always adhered) because I wanted it to have the sense of a story being told, almost being confessed. Supernatural colouring aside, it concerns itself with relatively familiar themes, and as for realism, I took the approach that this, like beauty, is in the eyes, heart and mind of the beholder, and that we all, as characters, get to set the distance of our own walls. And with regard to the label: ghost story – the furthest thing in the world I could ever possibly take is offence. Long before I ever dreamed of even attempting to write, I was a voracious reader and listener. Stories were everything to me. In haunting my local library, some books moved me more than others, and some etched themselves so deeply that I closed the book on them knowing that nothing would ever be quite the same for me again. I never cared what boxes people built for Lonesome Dove or Dandelion Wine or Treasure Island, Murder On The Orient Express or The Masque of the Red Death. Put Maigret or Philip Marlowe in a box and the lock grows instantly obsolete. Years of writing short stories has an effect. You submit to magazines, and unless you are one of the very lucky few who hit big straight out of the gate, you wrestle with rejection, feast on morsels and conjure endlessly inventive delusions in order to keep going. Over time I accumulated some decent publication credits, I began cracking a few shortlists and won the occasional prize, and the more work I put in, the deeper my stories seemed to run. And eventually I started to realise how arbitrary the whole business can be, and because the only thing I could control is what went down on the page, getting the story and the sentences right became the achievement. Now, first and foremost, I write to please myself. That came as a small revelation but an important one. The Dead House was a story I carried around in my head for decades, long before I ever seriously thought of writing as something I could possibly do. But the first few passes at getting it down didn’t work. Even when I figured out how the story would have to be told, and who should do the telling, it had a hole the size of the world at its heart that I couldn’t begin to explain, much less fill. And then, in August of 2011, while travelling around the Beara Peninsula, I found what was missing. I hadn’t even been thinking about the story when the whole thing came together for me. It was a hot day and I was driving with the windows down and the sea on my left side was gleaming in a million ways clear to the horizon, and then suddenly, and just for a fraction of a second, something shifted and the air darkened. And that was all it took. That part of West Cork is laden in myth, and the sense of the ancient being everywhere, layered into every surface, as well as the weight and – to misappropriate Yeats – slightly terrible beauty of the landscape, and also the immensity of the solitude, the feeling of being so small against the eternal spread of rock, fields, sea and sky, gave me in an instant everything that my story had been missing. Even when I knew what I was doing, though, I didn’t at first realise that I was writing a novel. What I thought might have been a long short story, and then a novella, kept on going. I had the bulk of it written in a year, and over the two or three that followed I poured back over it with scalpel slashes and rewrites, and even on days of struggle I don’t think I was ever anything but happy because I’d lived and breathed the story for so long before setting down so much as a word, I knew the characters the way I know my own family. The fact that it had to live a couple of years more in a drawer, gathering dust, is a story in itself, and one for another day, but the world turns in its own time, and my good fortune was to fall into the hands of the O’Brien Press staff, who worked hard to coax it into the beautiful shape that is currently lining bookshop shelves the length and breadth of the country. Call The Dead House a ghost story, if you wish. Squeeze it into any box you like. I don’t much care, because it’s exactly the story I set out to write and the one I want it to be. And that’s as much as I can ask of it. Attempting to rebuild her life after a violent relationship, Maggie Turner, a successful young artist, moves from London to Allihies and buys an ancient abandoned cottage. Keen to concentrate on her art, she is captivated by the wild beauty of her surroundings. After renovations, she hosts a house-warming weekend for friends. A drunken game with a Ouija board briefly descends into something more sinister, as Maggie apparently channels a spirit who refers to himself simply as ‘The Master’. The others are visibly shaken, but the day after the whole thing is easily dismissed as the combination of suggestion and alcohol. Maggie immerses herself in her painting, but the work devolves, day by day, until her style is no longer recognisable. She glimpses things, hears voices, finds herself drawn to certain areas: a stone circle in the nearby hills, the reefs at the west end of the beach behind her home … A compelling modern ghost story from a supremely talented writer. Billy O'Callaghan was born in Cork in 1974, and is the author of three short story collections: 'In Exile' and 'In Too Deep' (2008 and 2009 respectively, both published by Mercier Press), and 'The Things We Lose, The Things We Leave Behind' (2013, published by New Island Books), which was honoured with a Bord Gais Energy Irish Book Award. His first novel, The Dead House, is published by Brandon Books, an imprint of O'Brien Press, in May, 2017. Almost a hundred of his stories have appeared in literary journals and magazines around the world, including: Absinthe: New European Writing, Alfred Hitchcock Mystery Magazine, the Bellevue Literary Review, Bliza (Poland), the Chattahoochee Review, Confrontation, the Emerson Review, the Fiddlehead, Hayden's Ferry Review, the Kenyon Review, the Kyoto Journal, the London Magazine, the Los Angeles Review, Narrative, Salamander, the Saturday Evening Post, the Southeast Review, Southword, Valparaiso Fiction Review, Versal, and Yuan Yang: a Journal of Hong Kong and International Writing. New work is forthcoming as a Ploughshares Solo. 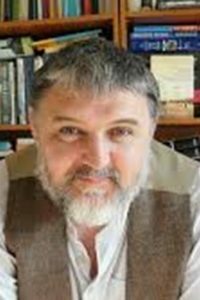 A recipient of the 2013 Bord Gais Energy Irish Book Award for Short Story of the Year, and a 2010 Arts Council of Ireland Bursary Award for Literature, his story, 'The Boatman' was recently shortlisted for the 2016 Costa Short Story Award. He has won and been shortlisted for numerous other honours, including the George A. Birmingham Award, the Lunch Hour Stories Prize, the Molly Keane Creative Writing Award, the Sean O'Faolain Award, the RTE Radio 1 Francis MacManus Award, the Faulkner/Wisdom Award, the Glimmer Train Prize and the Writing Spirit Award. He was also short-listed four times for the RTE Radio 1 P.J. O'Connor Award for Drama. He also served as the 2016 Writer-in-Residence for the Cork County Libraries.